My friend Virginia Drake Posted this on her Facebook this evening and it's has to do exactly with the research I've been doing lately. I've studied all of this probably 1000 times over but it just keeps on building on itself and what has been happening more and more is deeper experiences with illuminating one self. So how does one reach and illuminate the pineal gland? Well this I'll be referencing in a deeper blog later.. but the jist of it is through the kundalini and breath/fluids of the body we can alchemize the body from it's fear state to its LOVE state of being. I'll go into more detail later..but take a look at the scriptures below because this is showing the moment that Jacob become Israel. This is when he transmuted/alchemized him self and become enlightened. 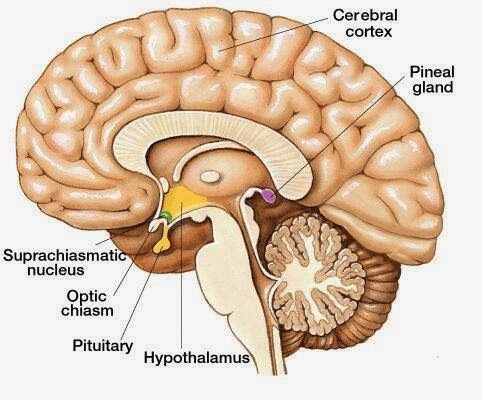 So where did Jacob see the face of God in a place called Peniel (or Pineal Gland)? Read and see what the truth is.